Glock Build Kits have hit the build-a-gun market, and it’s time to size up the two monoliths of the pistol world: 1911, or Glock? Can they even be compared? Perhaps not in application, nor in discipline – but their Build Kits certainly be today. Today, we’re breaking down the pros and cons, costs and benefits, and all other considerations to be made: Should you build a 1911 or Glock first? Find out! In short, completing an 80% Glock is marginally simpler than completing an 80% 1911– but the two truly cannot be compared. 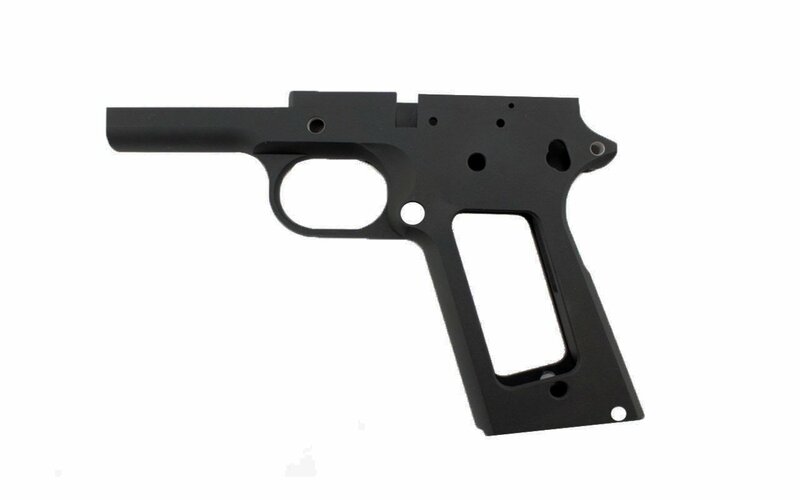 Completing the 80% Glock is easier because the frame is made from polymer, not aluminum, like the 1911 frame. However, in a technical context, completing both frames is equally simple: Drill a few holes with a drill press (or hand drill) and shave down some raised material to allow for the installation of a parts kit, barrel, and slide. Some argue that completing an 80% 1911 frame is simpler because the process is slower. This is because cutting the frame is completed by hand using a hand plane (similar to a woodworker’s plane), while cutting the Glock frame can be completed with a Dremel. Both the standard 1911 Jig and Glock Jig pre-set your drilling points and they provide the tooling and methods of measuring. The Glock Jig does come preassembled, and there is no need for removing the frame from the Jig before machining. The 1911 Jig requires setup and you must remove the 1911 frame and reorient it during the machining process. In this battle, the Glock wins. It’s little surprise that the Glock wins this battle, too – at least when it comes to initial cost of parts and building one weapon using one Jig. The 80% Glock Frame and Jig Kit comes in under $200, while the typical 80% 1911 Frame and Jig Kit comes in between $350 and $400. But if you think the Glock wins this round, think again: The Glock’s Jig is one-time-use. This is because it, too, is made of polymer. In drilling and cutting the Glock frame, the Jig is destroyed. The 1911 Jig can be reused multiple times. If you’re building more than one gun (and trust us, you will want to), the 1911 Build wins. If you plan on sticking with one pride-and-joy, then the Glock Build wins. The whole point of building your own Glock or 1911 is to avoid paying more for your weapon than you should (and exercising your 2nd Amendment Rights). But if your finished piece is subpar compared to what you can find elsewhere, then what’s the point? So, which is better than its store-bought counterpart: The 80% 1911 or the 80% Glock? The 80% Glock frame is innovative and it’s compatible with all Gen3 Glock 17, 22, 31, and G45 and G35 platform. Its quality is 100% comparable to any store-bought Glock. 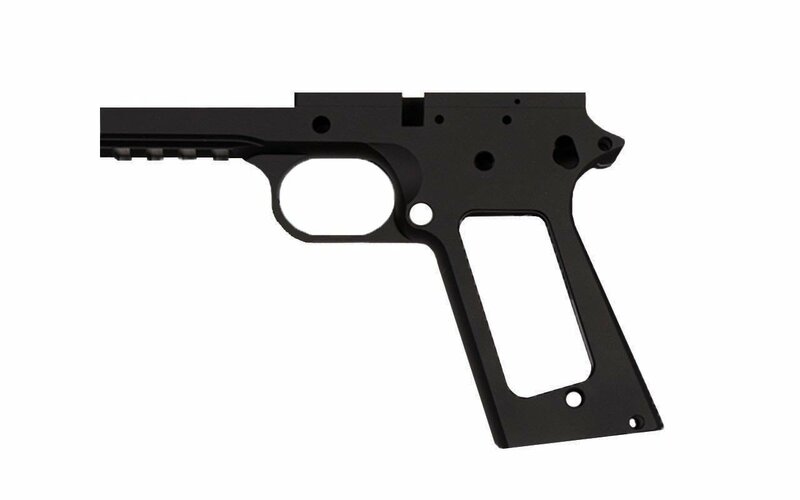 The 80% 1911 Frame is a true improvement on an archaic design. 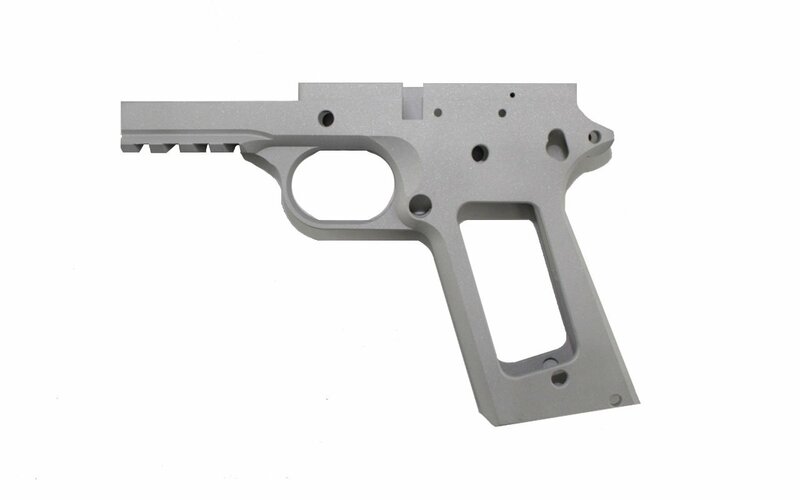 Forged from 7075 T6 aluminum, the 80% 1911 Frame feels like a top-tier piece. It reduces weight by over 60% compared to store-bought steel 1911s, and its available hardcoat anodized finish offers a new take on the old parkerized design. The 80% 1911 frame is not officially compatible with all other 1911 components, though Stealth Arms offers its own, U.S.A.-made parts. In this battle, both win. Both the 1911 Build and Glock Build will provide you with a high-quality piece that costs a fraction of what you might pay a big-box outfitter. The 1911 Build gets bonus points for its aluminum design.